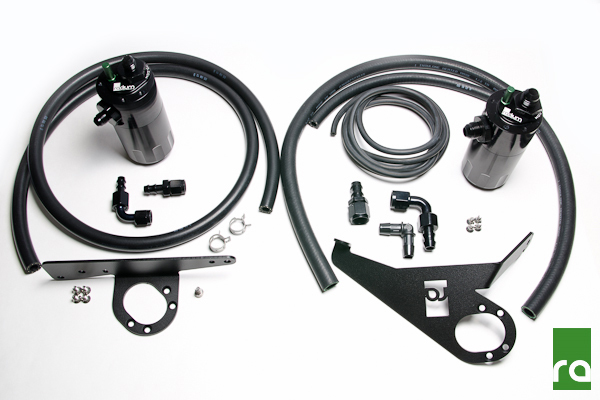 This installation kit was specifically designed for the 00-05 Honda S2000 LHD chassis. It is not compatible with any RHD or 06-09 LHD S2000 models. No worries, we have a separate catch can kit specifically for these S2000 models HERE. 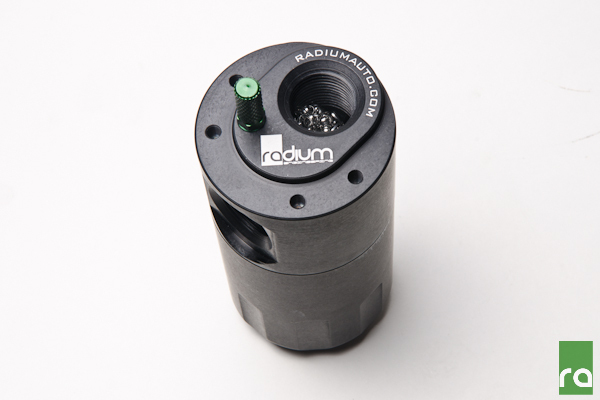 Radium Engineering offers two completely independent S2000 oil catch can kits that are sold individually or together. 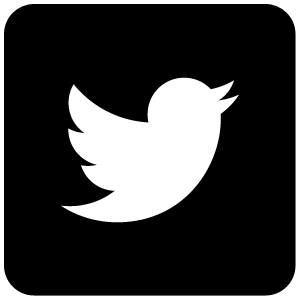 They do NOT vent to atmosphere (VTA), thus are emissions and track legal. Closed loop systems route clean filtered air back in through the engine to be burned and to promote negative crankcase pressure for optimal performance. Furthermore, closed systems prevent unwanted oil vapors into the cabin. 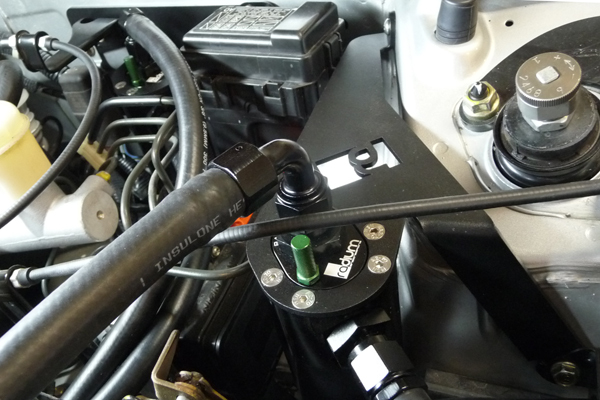 The "crankcase vent" catch can kit runs inline with the 1/2" valve cover breather port. At low loads it experiences atmospheric pressure, but when the engine is at high load (WOT), this hose will experience vacuum and would normally be drawing unwanted crankcase vapors, unspent fuel, and oil sludge into the air filter intake pipe. 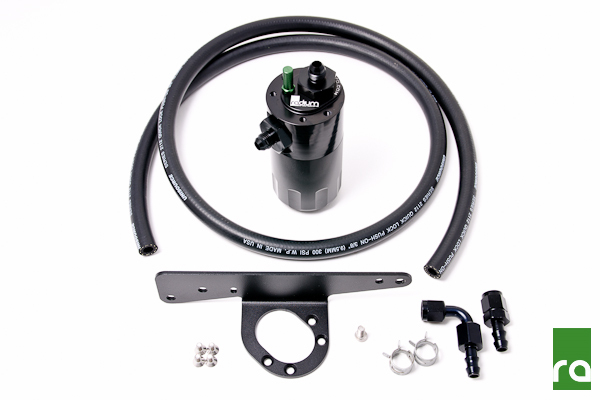 If the engine is turbocharged or supercharged and you are finding oil accumulation stuck in the intercooler, this catch can is a necessity as oil will lower the thermal efficiency properties of the heat exchange process. 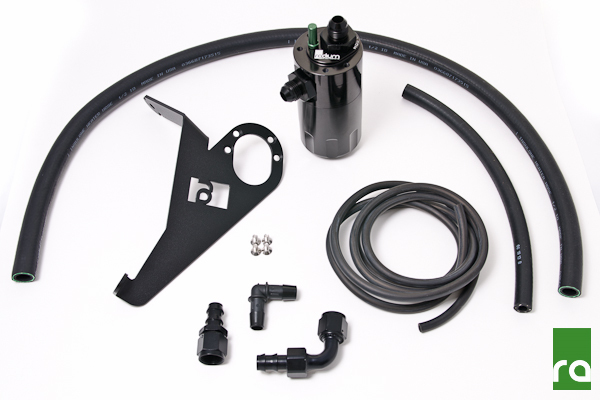 The "PCV" catch can kit runs inline with the 3/8" PCV (positive crankcase ventilation) valve. 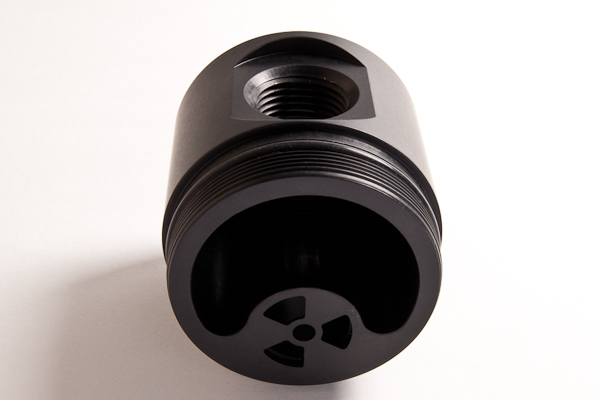 When the intake manifold pressure is close to or greater than atmospheric pressure, the PCV "check" valve closes and, thus, this hose experiences no flow. 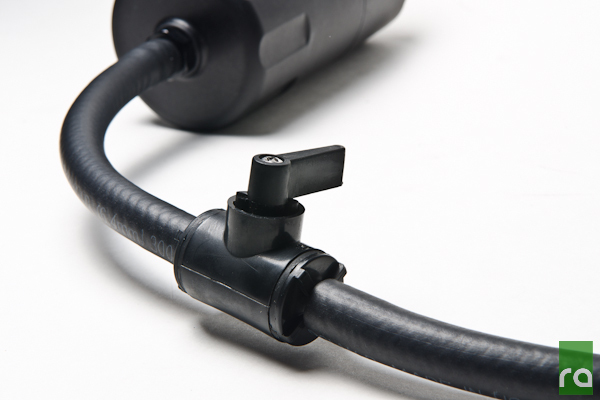 Conversely, the PCV hose will experience "metered" vacuum when the engine is idling, steady state cruising, and decelerating. 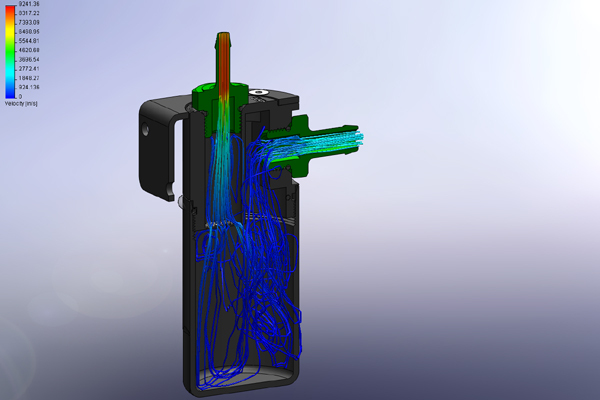 This would normally draw unwanted crankcase vapor, unspent fuel, and oil sludge into the intake manifold immediately after a high load run. 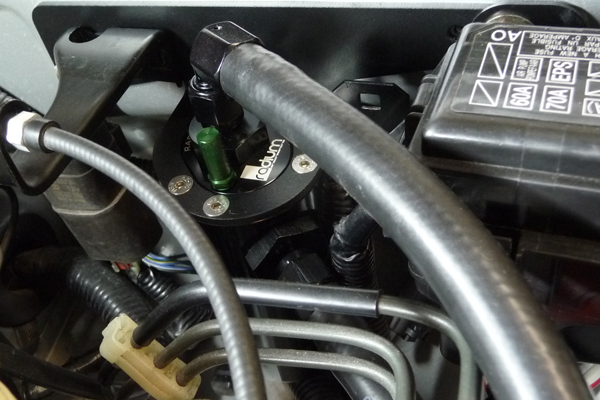 Note: Because the Radium catch cans are pressure sealed, they are great for boosted applications as well so connecting to the intake manifold is permitted. Both kits work with the OEM strut bar. 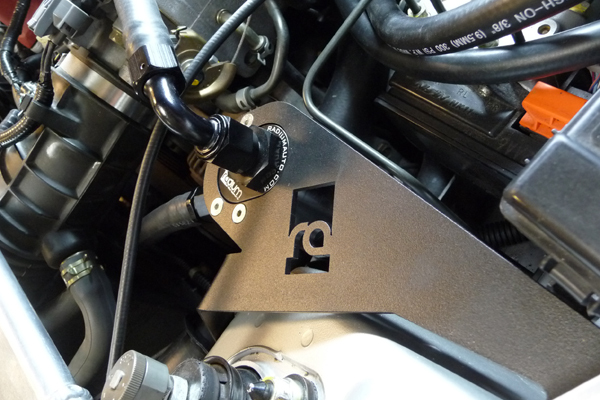 For the ultimate in engine protection, Radium recommends installing both catch can kits.